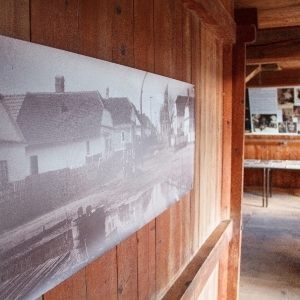 Historically there were four mills in Čáčov, named after the miller families. 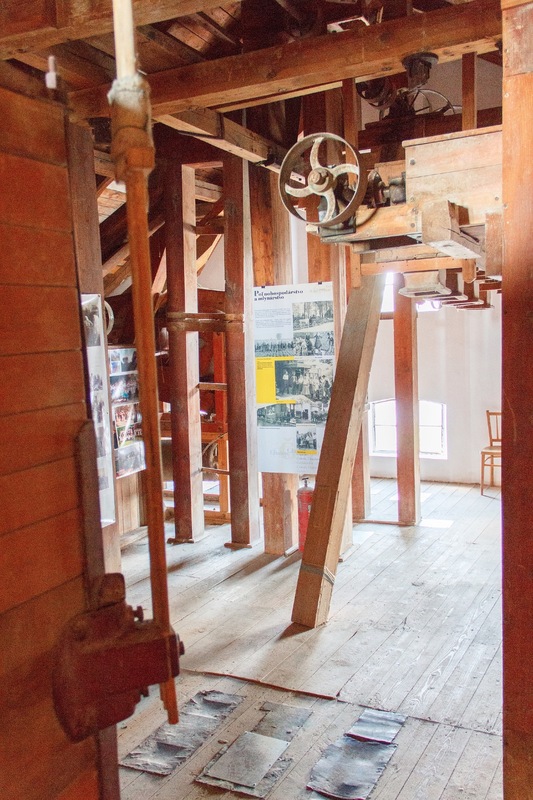 Those were the families milling flour in the mill. Names of the mills - Danovičových mill, Beňovských mill, Škodáčkov mill and Beňovských mill. 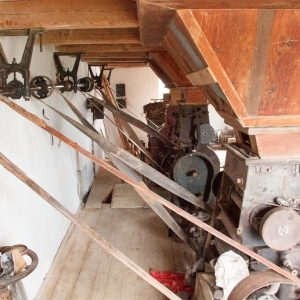 The Škodáček's mill is the only one left, and even has the original equipment. The mill was in operation from September to May. The work was paused on Sundays and festive days. In June, July and August, general maintenance works were carried out on the milling equipment. 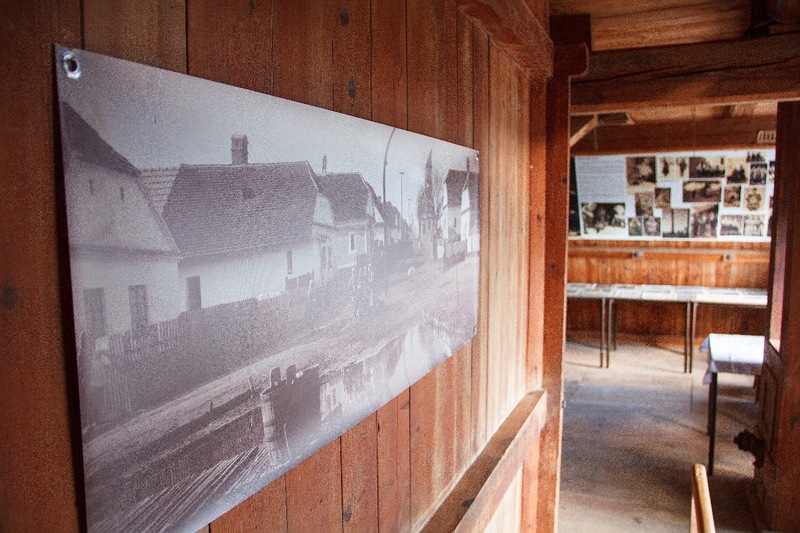 The mill underwent a major reconstruction in 1943, turning it from a single-storey into a three-storey mill. It was powered by a Francisci water turbine. 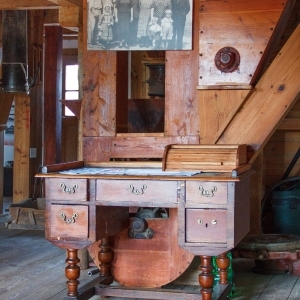 Until 1960, there were three cylindrical mill stands. 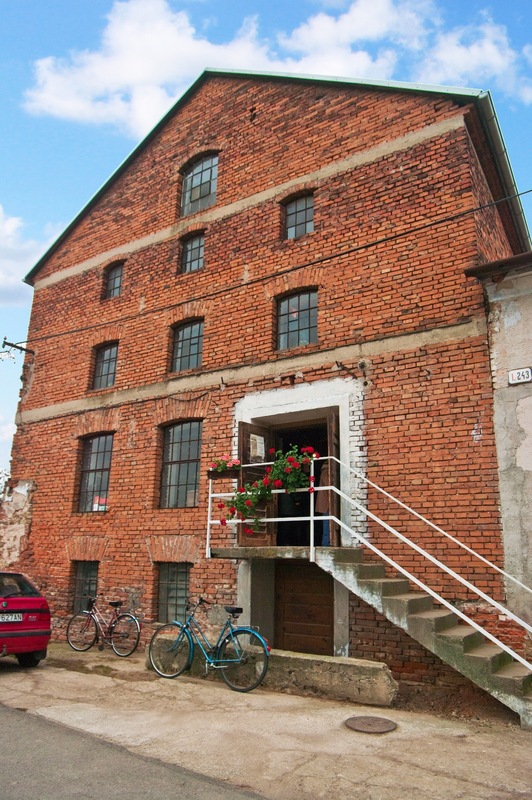 The mill was nationalized in 1960 when it was taken over by the “Agricultural supplies and purchase, state owned enterprise Bratislava”. 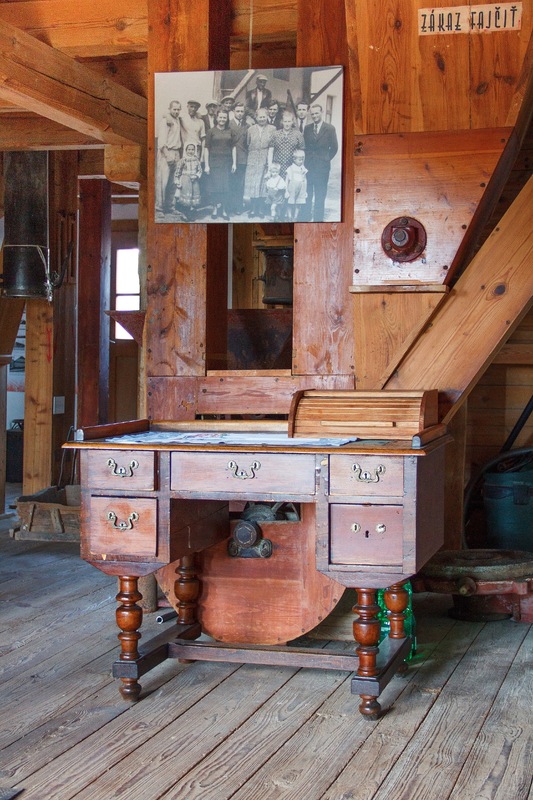 From then on, the mill served only for grinding cereals for livestock and flour was not milled here anymore. And so the mill and its equipment started to dilapidate. 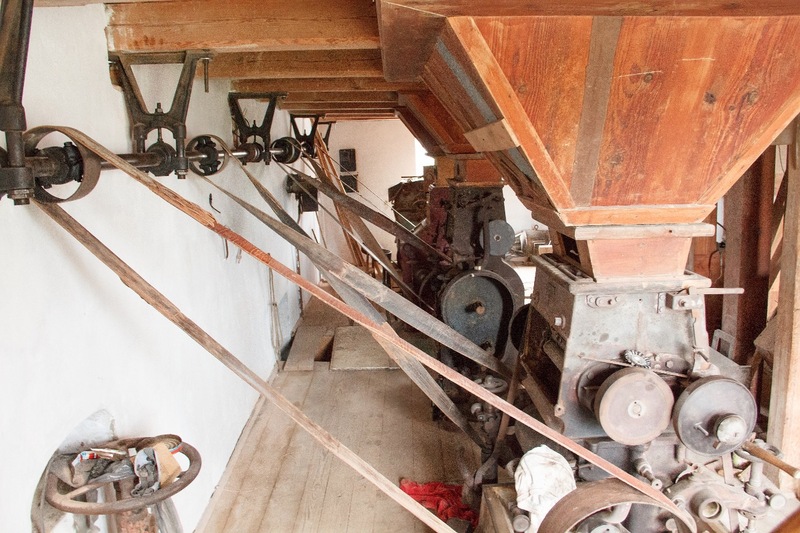 Even though the mill was returned to the Škodáček miller family, the restoration of flour milling would have been very expensive and under certain conditions virtually impossible. 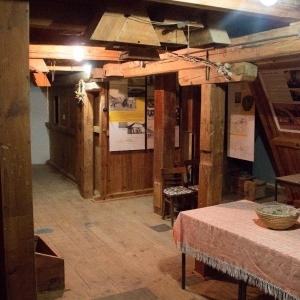 The youngest son of the miller, Pavol Škodáček, continued only with the cereal grinding for livestock. 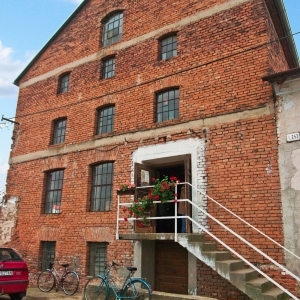 The current owner of the mill is Mr. Peter Pivák. 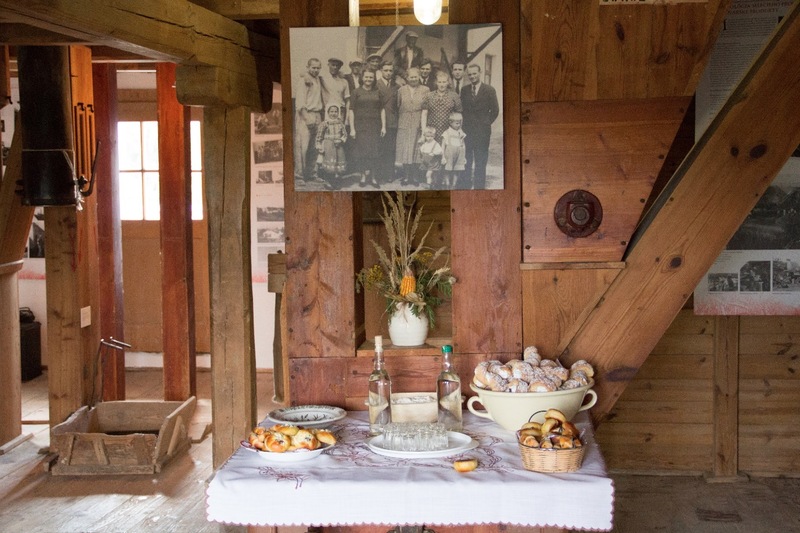 Together with volunteers from the community organization PRO Čáčov he strives to preserve the memories of times when the mill was still functional. 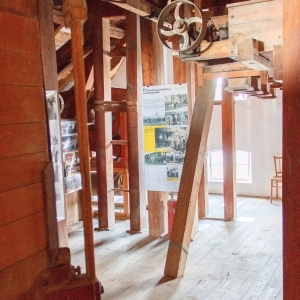 In 2011-2014 the premises of all three floors of the mill were cleaned out, painted and made accessible; floors were repaired, safety railings installed and the beams and wooden parts were chemically treated. A motor and new transmission, powering the cylindrical stands and stoneware grinder, were added to the machine equipment. 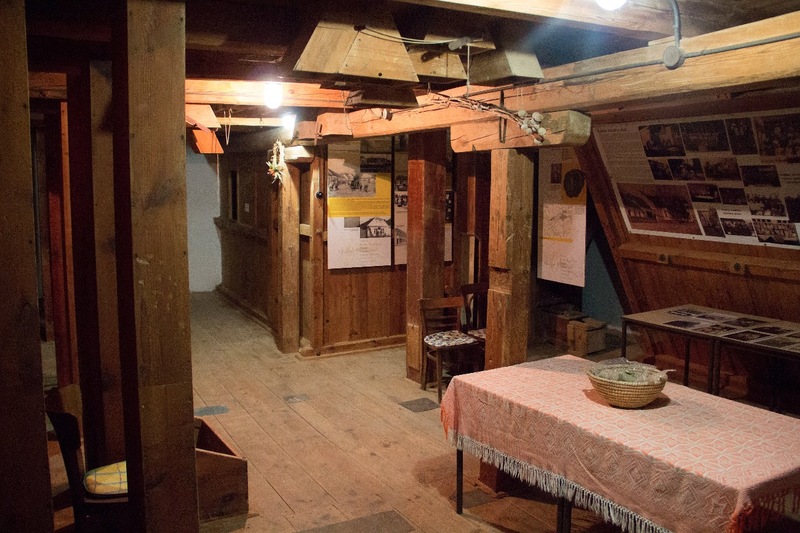 There are two permanent exhibitions – the History of Čáčov and Mills and milling craft in Senica. 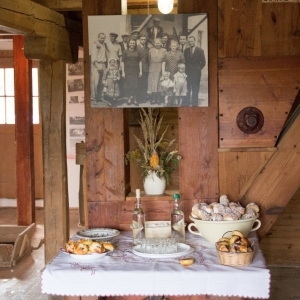 The mill is open to the public during village festivities that take place in Čáčov annually in autumn. Otherwise the visit has to be notified in advance.